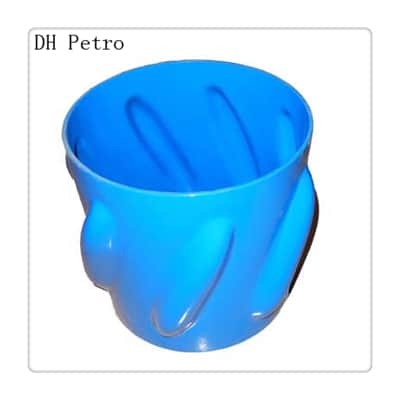 1.These centralizer is made of stamped steel. 2.It is designed for vertical well configurations where lateral loads are at a minimum. 3.Slip On Stand off Band Centralizer is designed to provide a positive stand off the casing for both cased and open holes. 4.The angled fins provide increased turbulent flow. 5.These Stand off Band Centralizer is require where close tolerance between the casing and the hole is being encountered. 6.Mainly it’s designed for the liner applications. 7.Design of the stand off Band Centralizer allows for reciprocation and rotation during cementing and can be installed between Set Screw Stop Collar . 8.These Stand Off Band Centralizer undergo a special Phosphate coating process to prevent from Rust then coated with special Polyester Powder. 9.These are available in all sizes ranging from 4 1/2″ to 20″.